ProCinemagraph is an exciting new tool that allows users to easily create a living moment in an otherwise still photograph. This effect was designed exclusively for Final Cut Pro X and provides an easier method for creating the popular cinemagraph effect. This plugin utilizes our amazing brush tool to allow users to easily paint out the mask, revealing motion. Creatively combine photography and videography to vividly tell a story with ProCinemagraph. ProCinemagraph will be compatible with both 1080p and 4K resolutions. This plugin requires Final Cut Pro 10.4 and Mac OS 10.13. This plugin will not operate on Late 2013 Mac Models. ProCinemagraph was designed exclusively for Final Cut Pro X. Capture the attention of your audience by uniquely blending photos and video together in creative new ways. Cinemagraphs work well for product shots, portraits, landscape, sports and more. Quickly create endless possibilities using ProCinemagraph. This effect uses familiar brush controls as well as hot keys to quickly and effortlessly edit the mask. Brush style controls consist of sliders and drop downs which are located directly inside of Final Cut. Hold down the command key to erase brush strokes from the canvas, while the plus and minus keys are used to adjust the brush size. Use this effect to create seamless repeat loops. Start by makeing sure that the footage was taken using a tripod. This ensures that the footage is perfectly still, otherwise you’ll see a clear separation between the still frame and the video footage. Select a still frame from the footage, use the brush tool to reveal areas of motion, and end by seamlessly blending a repeat loop. This effect is great for creating eye catching content for social media, marketing, advertising, and more. Bring your next Final Cut Pro X production to a new level with ProCinemagraph from Pixel Film Studios. This tutorial demonstrates how to create a cinemagraph inside of Final Cut Pro X. This tutorial demonstrates how draw using the built-in brush tool in two different draw modes. Does ProCinemagraph export in GIF ready format? No, by following the tutorial you will create a seamless looping video inside of final cut, but the video will not loop forever. Wehn you export the image sequence you can then use GIF creation software to turn the file into a GIF. The resolutions that are supported by this plugin are 4K and 1080p. *Resolutions must be used in association with its media counterpart. 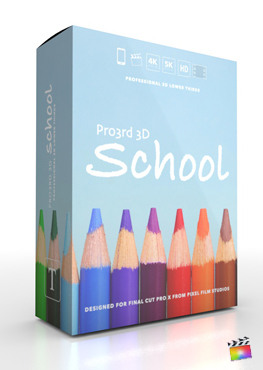 A 4K project must use the 4K ProCinemagraph Preset in association with 4K media. Why is Final Cut Pro X crashing when I use this plugin? This issue can occur when attempting to use this plugin when your project resolution is set to anything other than 4K or 1080p. When using the brush tool associated with this plugin it is required to have both the media you are using and the project resolution be set to 4K or 1080p.